Starting Thursday the 11th through the end of February. If you missed seeing this film in October of last year, here is your chance. 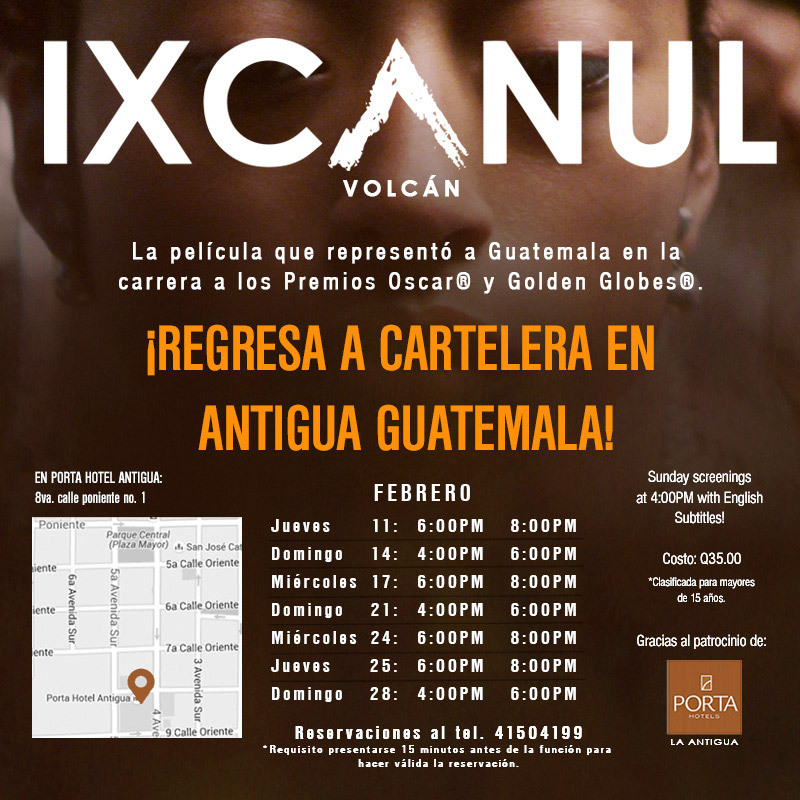 Click here for a recent article on Ixcanul Volcán. See schedule for showings. Sunday screenings at 4pm with English subtitles. This is a beautiful film. Highly recommend it!